After a 10-month engagement, the couple married in a beautiful candlelit ceremony on New Year’s Eve at the First Baptist Church of Pittsburgh. 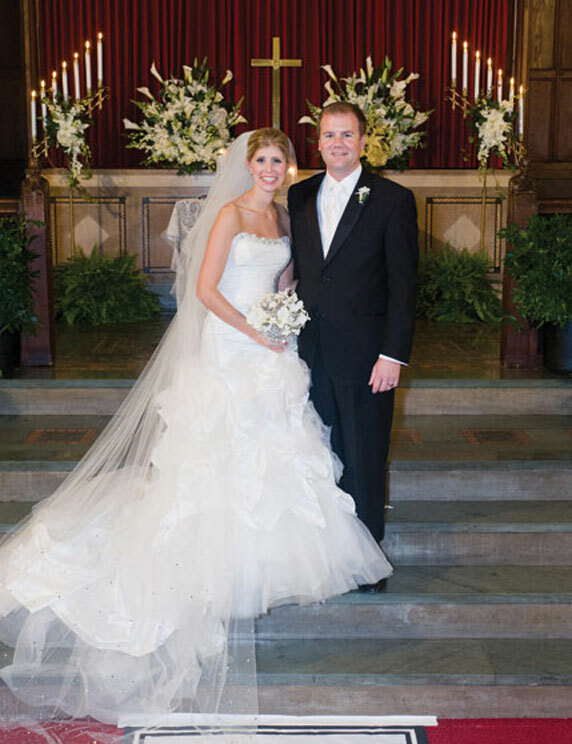 Carla walked down the aisle wearing an Ian Stuart gown made of silk dupion and tulle with a draped, elongated bodice. 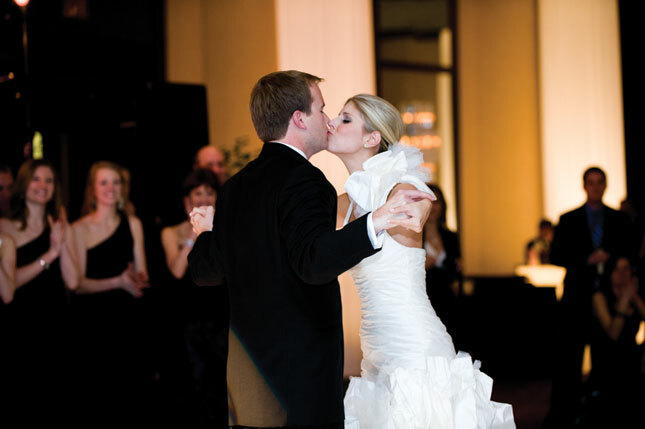 The couple’s friends and family rang in the new year at the formal wedding reception, planned by The Event Group. 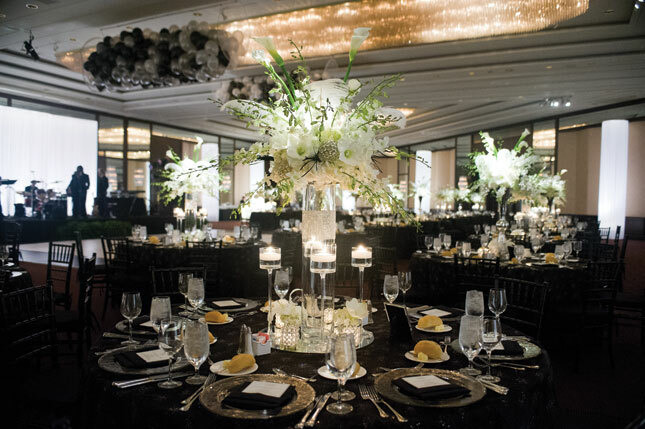 Lots of candlelight and gorgeous white flowers topped tables draped with black lamour and black sheer sparkle toppers. 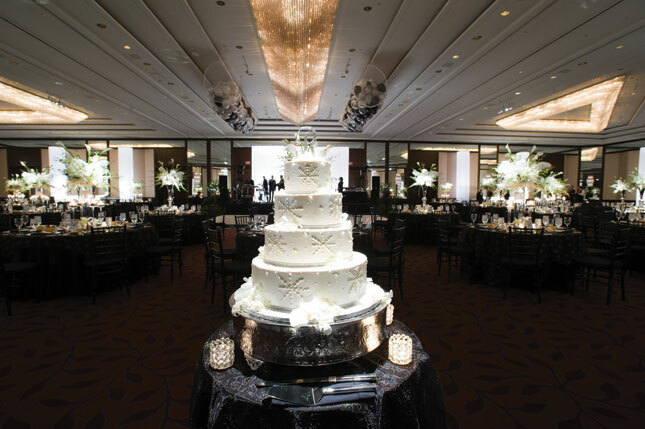 Bethel Bakery created a stunning four-tier wedding cake fit for this glamorous wedding. The white buttercream-iced cake was delicious and beautiful, decorated with white snowflakes and topped with a crystal initial.